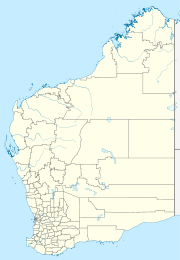 Wandanooka is a small Aboriginal community in the Mid-West Region of Western Australia, within the Shire of Mullewa. The community is part of the Mallewa-Wadjury joint Native Title claim over the Tallering Peak Iron Ore area. The community is managed through its incorporated body, the Wandanooka Aboriginal Corporation, which was incorporated under the Commonwealth Aboriginal Councils and Associations Act 1976 on 28 July 1992. Wandanooka town plan can be viewed at Planning Western Australia official site.